Riding a Segway is similar to riding a bike - it's intuitive but nobody is born knowing how to operate it. You'll have 20 - 25 minutes of training prior to beginning the tour so you can get familiar with the most innovative transportation device of the millennium. You will practice on the Segway until everyone feels comfortable and ready to tour San Francisco. 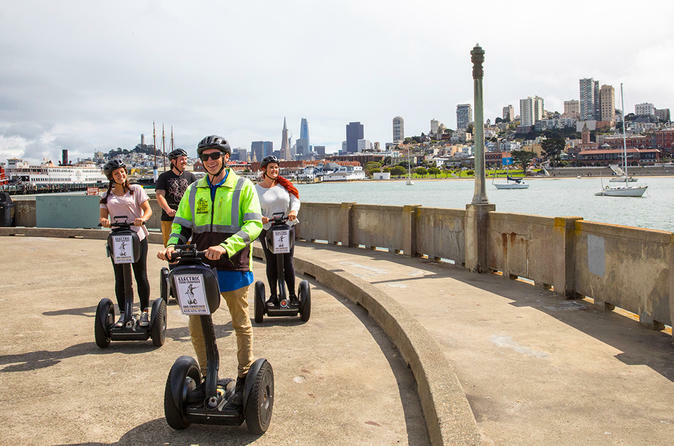 On an eco-friendly Segway tour you'll see more sights than you could cover on foot, and have lots of fun while you help to keep San Francisco "The Greenest City in the United States." The San Francisco Waterfront Segway Tour is narrated and makes numerous stops for photos. Ghirardelli Square, home of delicious chocolate!